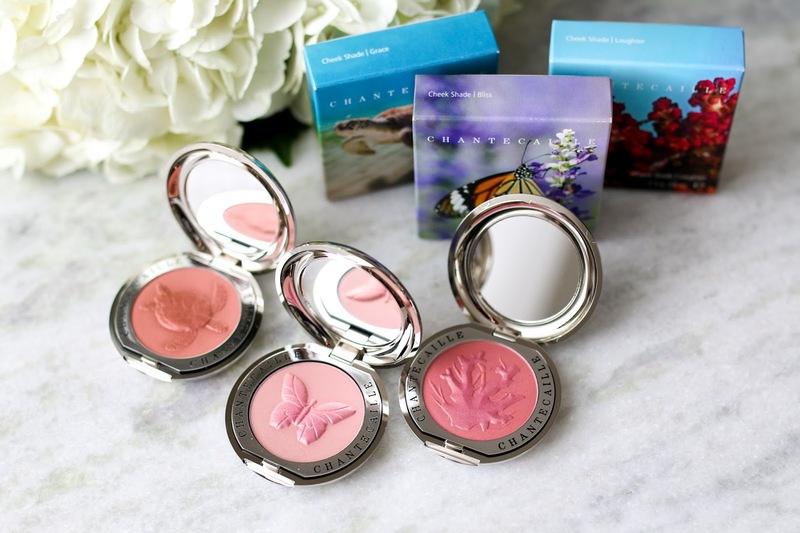 I audibly gasped when these Chantecaille Philanthropy blushes arrived at my house. They were included with some other things I ordered from Nordstrom, and when I finally unwrapped them the boxes alone blew me away. And then obviously the blushes themselves were an absolute sight to behold. The pictures online don't even do them justice - they are truly a work of art. I'm already a huge Chantecaille fan and have been for years, and love almost anything I try from the brand. While obviously I want a product to perform well and look great on my skin, having it come in beautiful packaging makes the experience even better. I think brands are paying more and more attention to packaging and I'm glad because using beauty products should be an all encompassing pleasant experience from the packaging to the formula. And these blushes apply just as beautifully as they look. The shimmer that is at the top of the blush is just an overspray and disappears with the first swipe. While they are not necessarily a shimmer finish, I wouldn't say they are completely matte. They have a slight luminous radiance that gives the cheeks a fresh glow without being shiny or glittery. And the colors are incredibly pigmented so use a light hand when applying. They can give a sheer wash of color when used delicately or can give a strong punch if applied with a heavy hand. Blending is a breeze as they move easily on the skin and the color stayed put all day. Your biggest challenge with these may be choosing a color because they are ALL beautiful and wearable for every day. 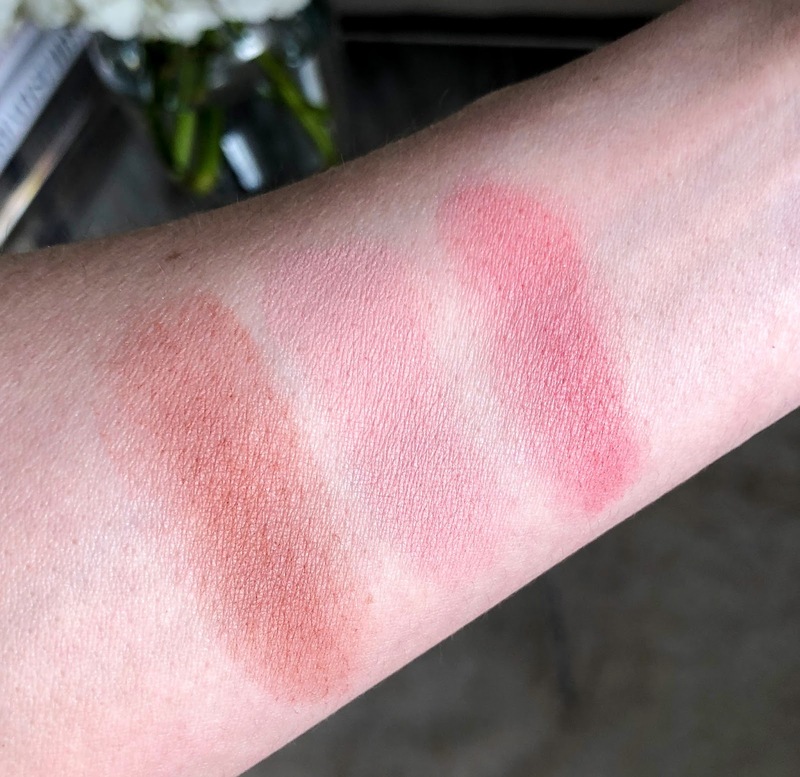 If I had to pick one, my favorite would be Bliss Butterfly which is the perfect ballet pink and looks like my cheeks have a gentle healthy flush. I have worn it with various eye colors and it pairs well with almost any shade. If you are already a Chantecaille lover, picking up one of these is a necessity. If you are new to the brand, you will not be disappointed if these are your introduction to the brand. For more of my Chantecaille recommendations, scroll through the widget below. These are seriously so pretty! I love the packaging very sleek. Bliss is my favorite as well, though I have it in the LE Rose design. Ah yes, I thought the shade looked familiar!